Little Yuki and her younger brother Ame are not the same as ordinary children... they're part wolf! This tale follows the story of their family, starting with their mother's first fateful meeting, in a college class, with the man that would become their father. Their father was descended from the now extinct Japanese wolves, and he can transform between his man and wolf forms at will. 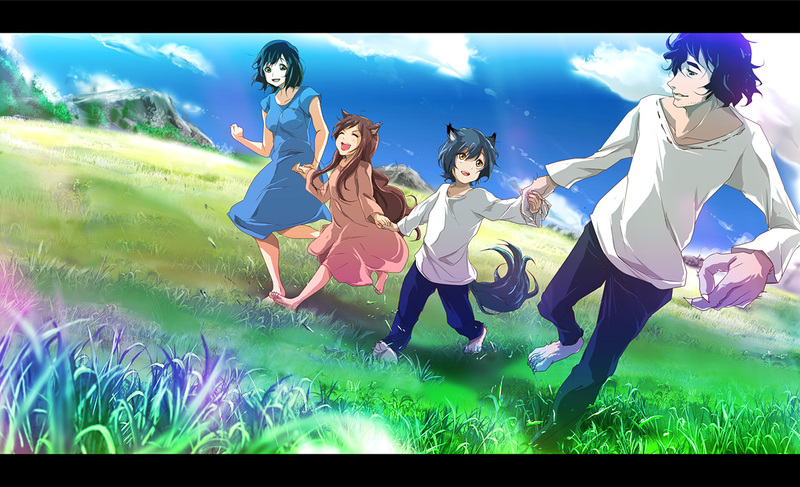 Now Yuki and Ame's mother, Hana, has her hands full figuring out how to deal with the special needs of her own very special, and very loved, wolf children. Just wanted to THANK YOU A LOT for this series. I'm a big fan of this and of you guys. Take the time needed, I'll wait years if necessary, but continue with the good work! Looking to help us improve our raws? Please donate!